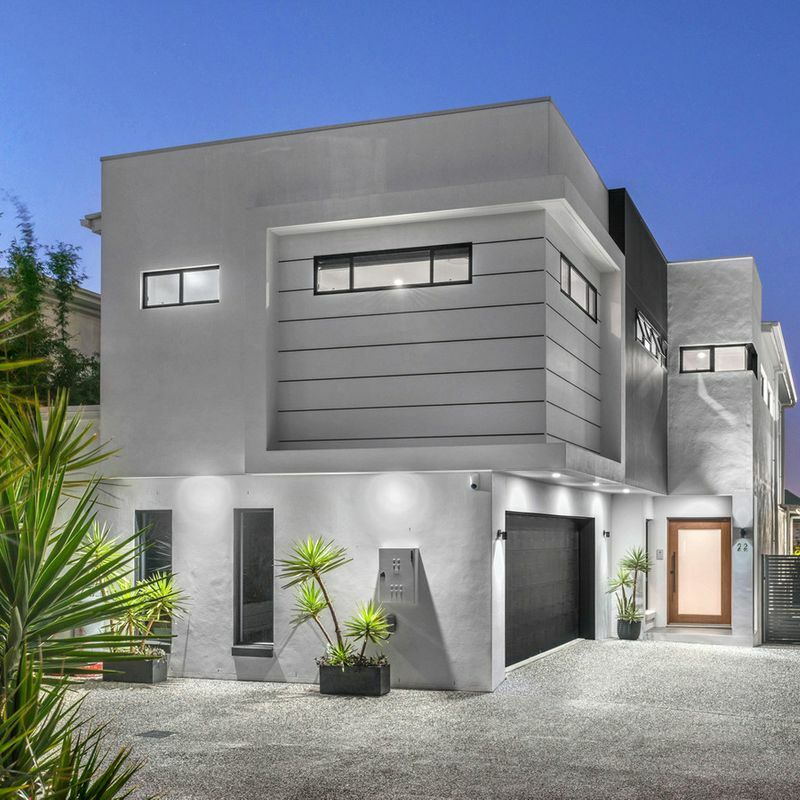 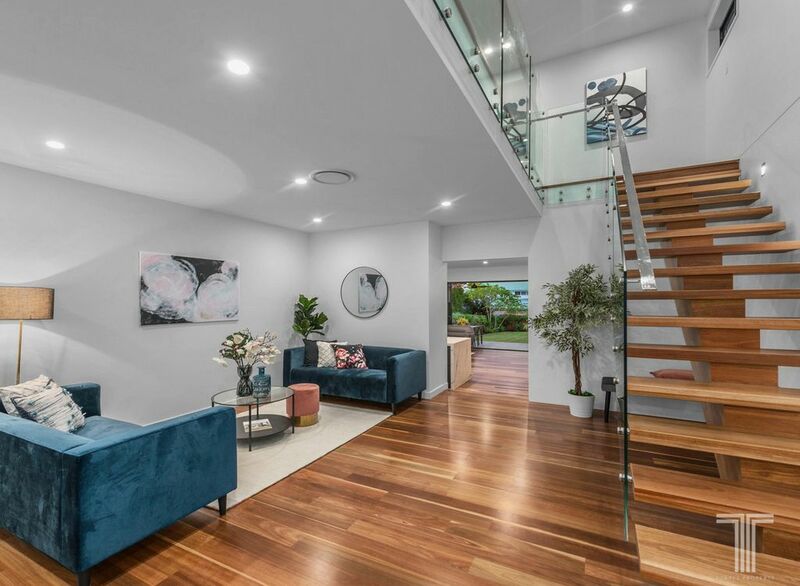 A modern masterpiece designed for luxury, executive living, this magnificent two-storey home boasts high quality finishes and is destined for entertaining. 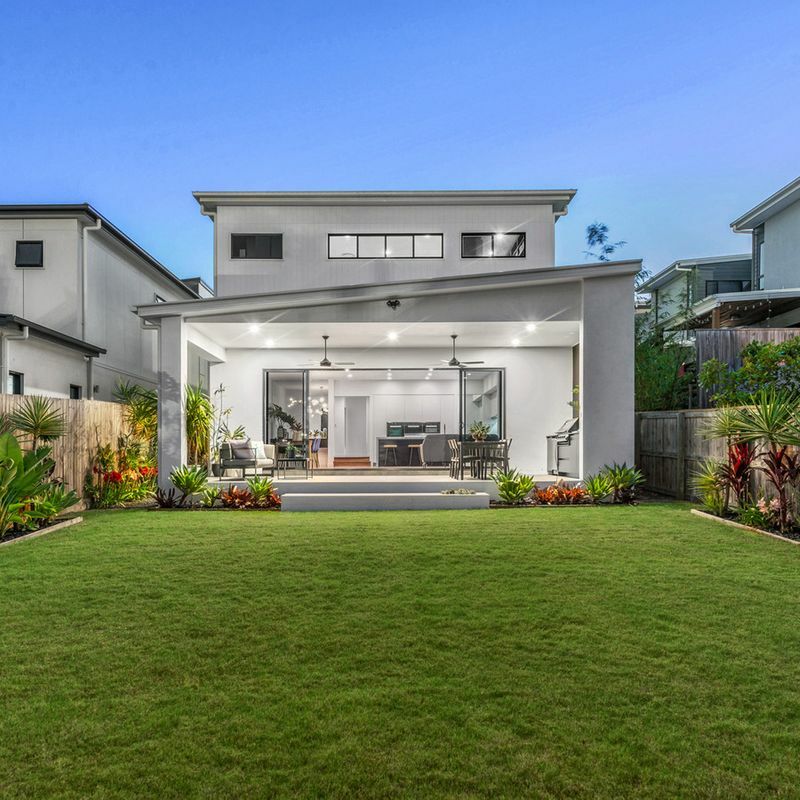 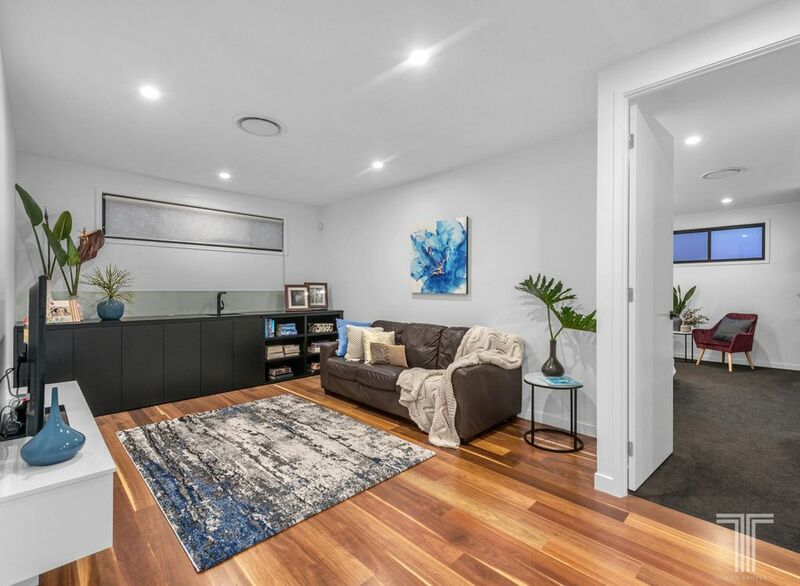 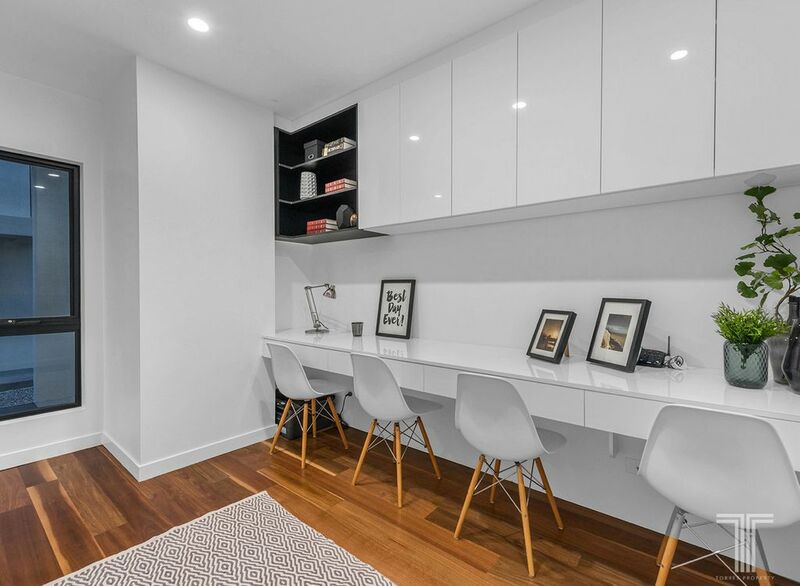 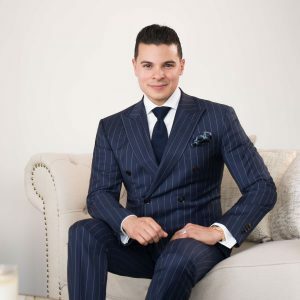 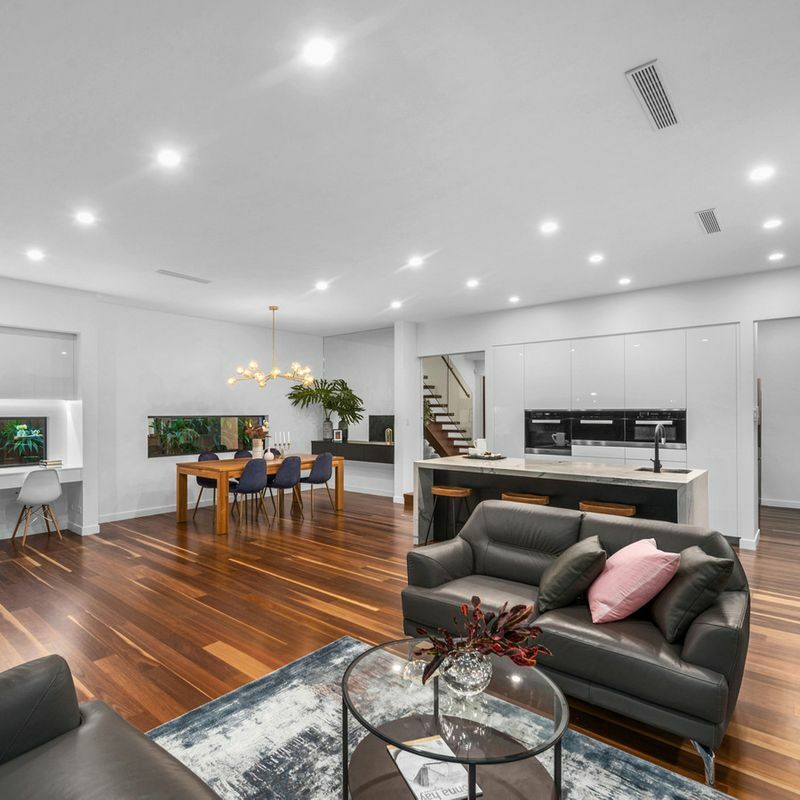 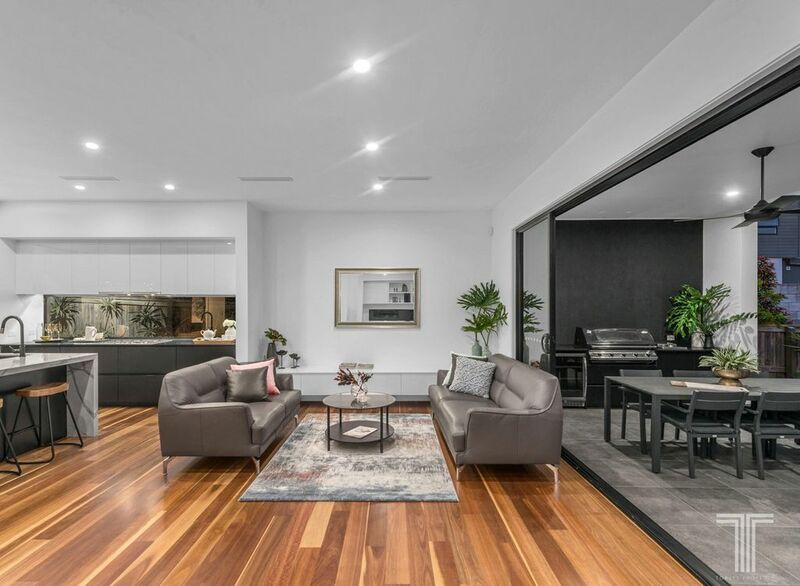 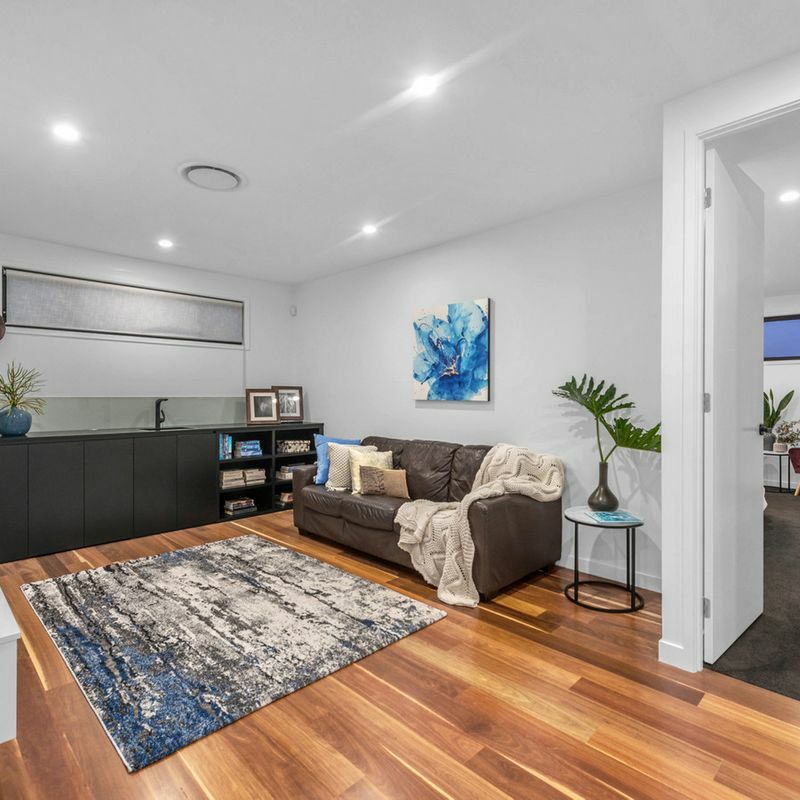 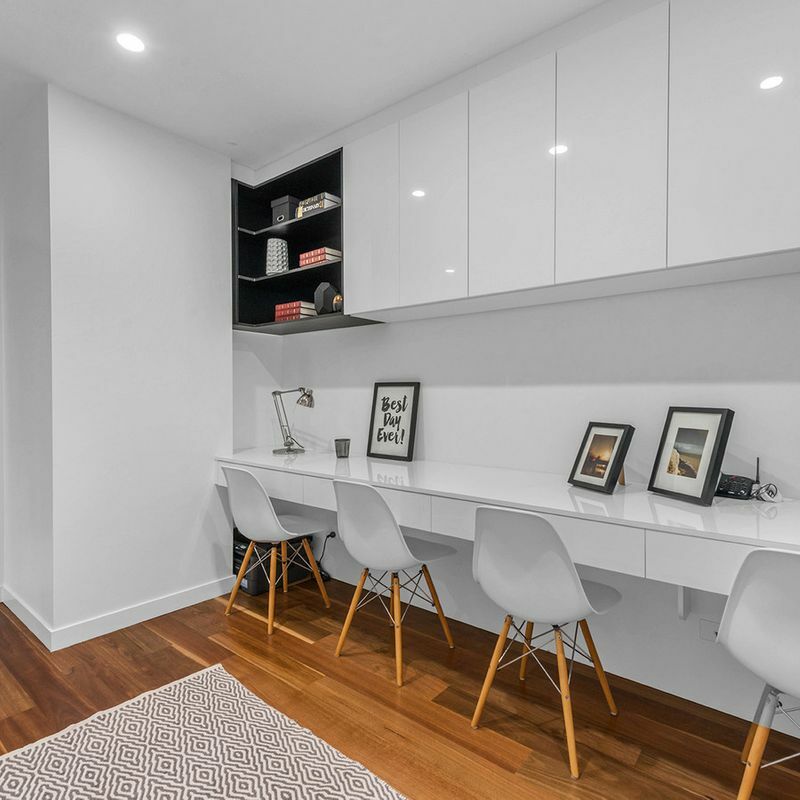 Adorned with sleek polished timber flooring, crisp white walls and high ceilings throughout, the home presents a formal lounge room and open plan living area across the spacious lower level. 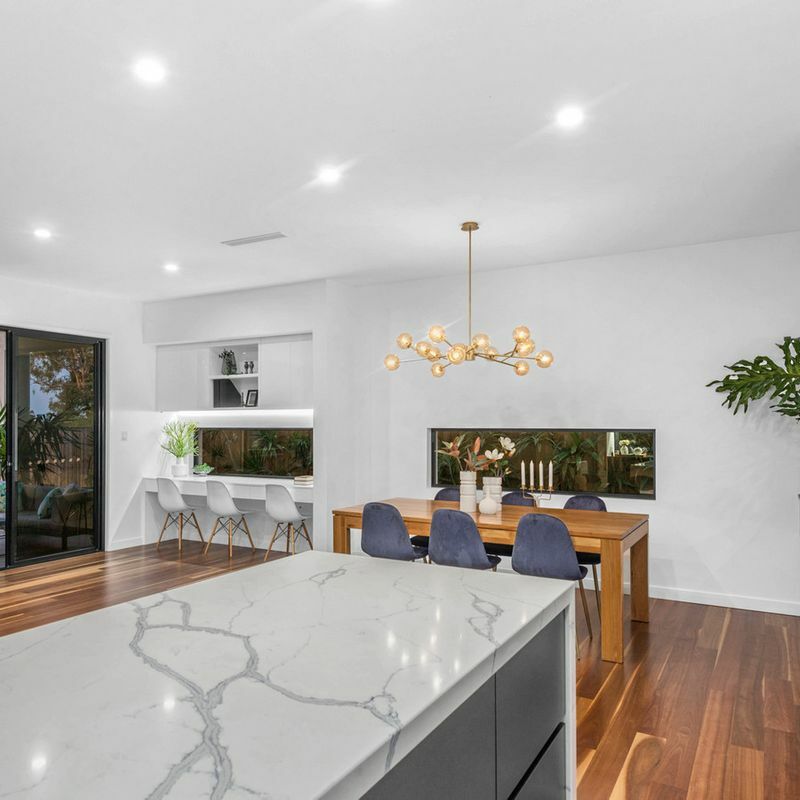 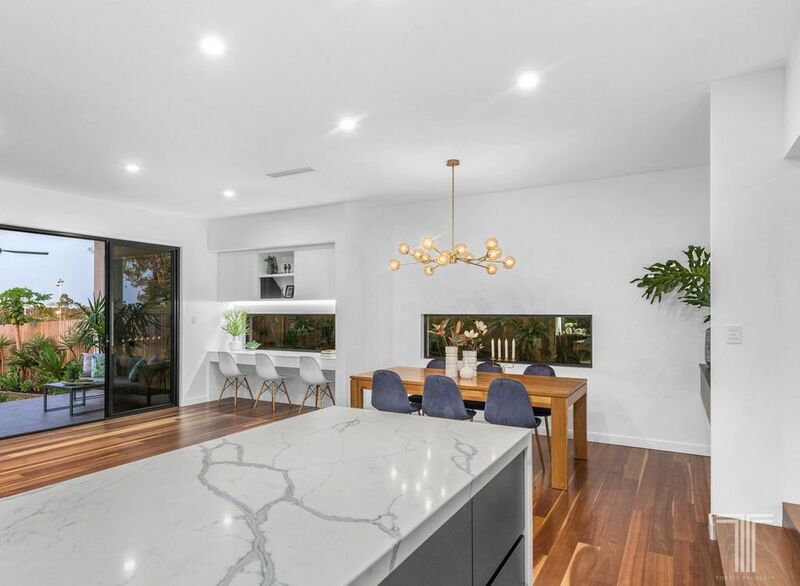 Flawlessly designed and boasting a feature designer pendant light (as seen on this season of The Block), the open lounge and dining area is ideal for relaxed yet stylish family living and adjoins the gourmet kitchen. 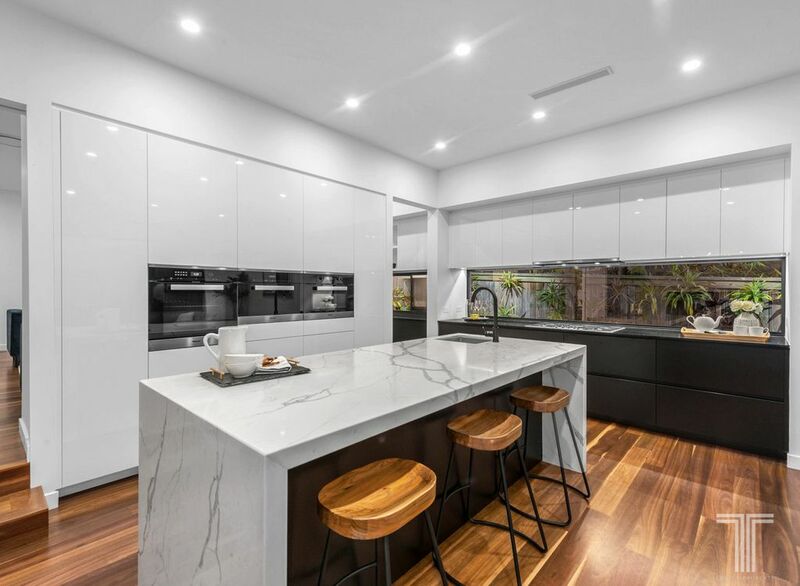 Sure to impress, this culinary showpiece features Statuario Venato luxury range benchtops, matte black tapware, suite of Miele appliances, black granite food prep area and soft close white and black cabinetry. 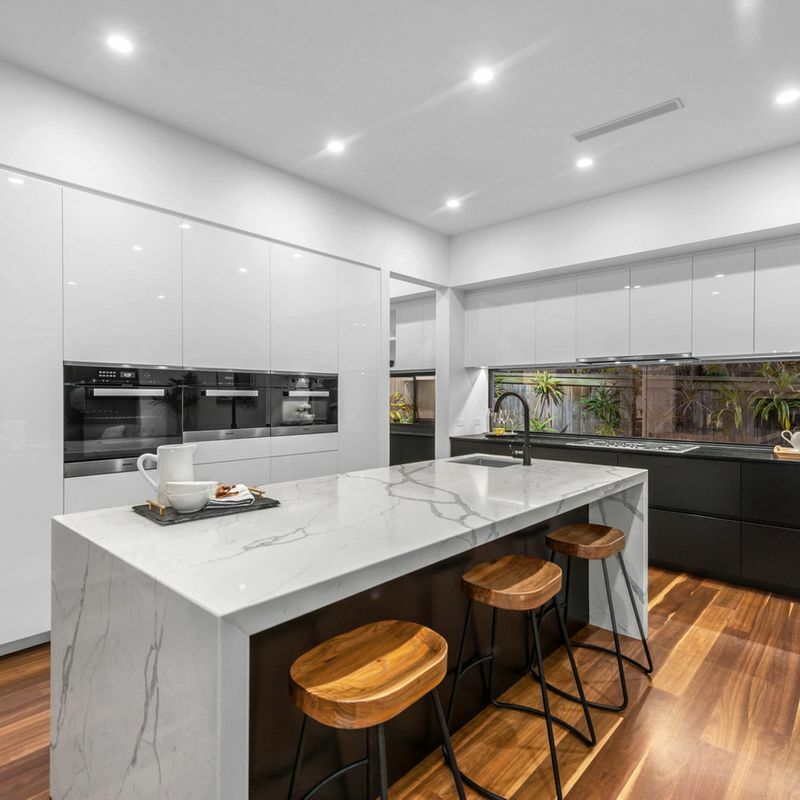 Complete with an outstanding butler’s pantry with double sink, dishwasher and additional storage, preparing meals here will be an absolute pleasure. 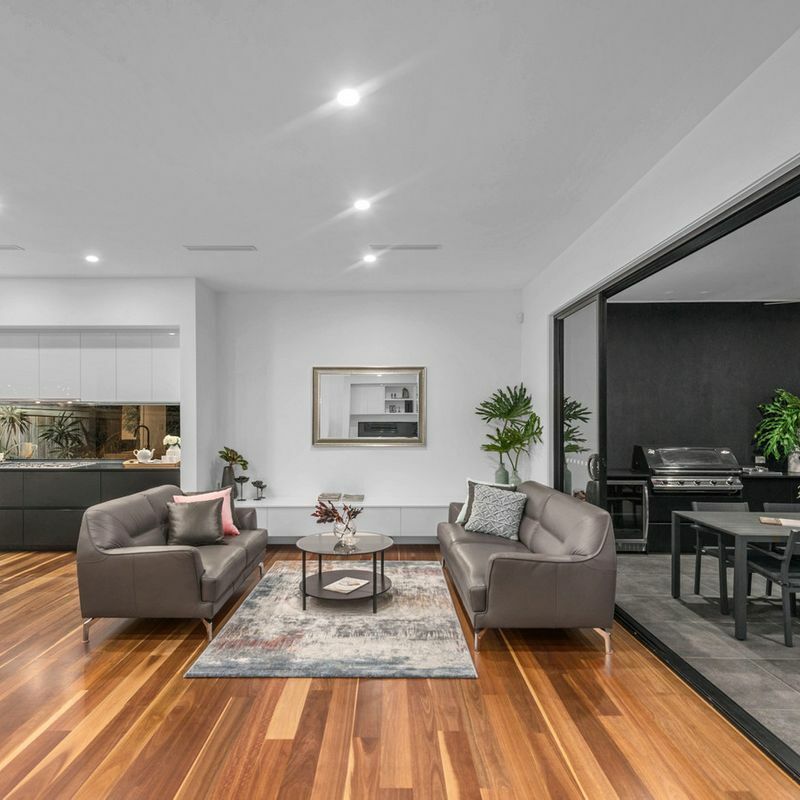 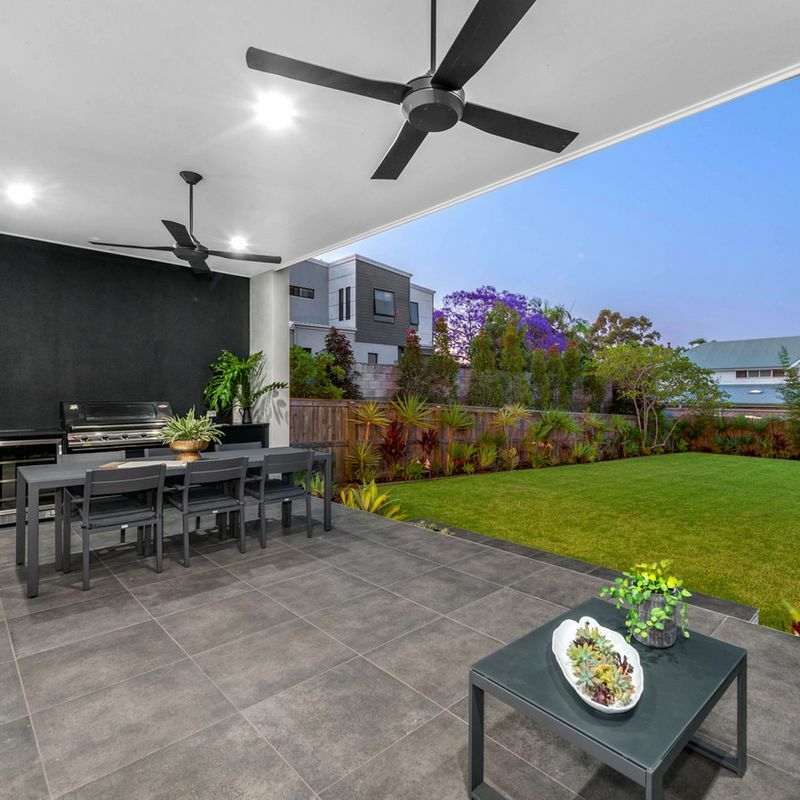 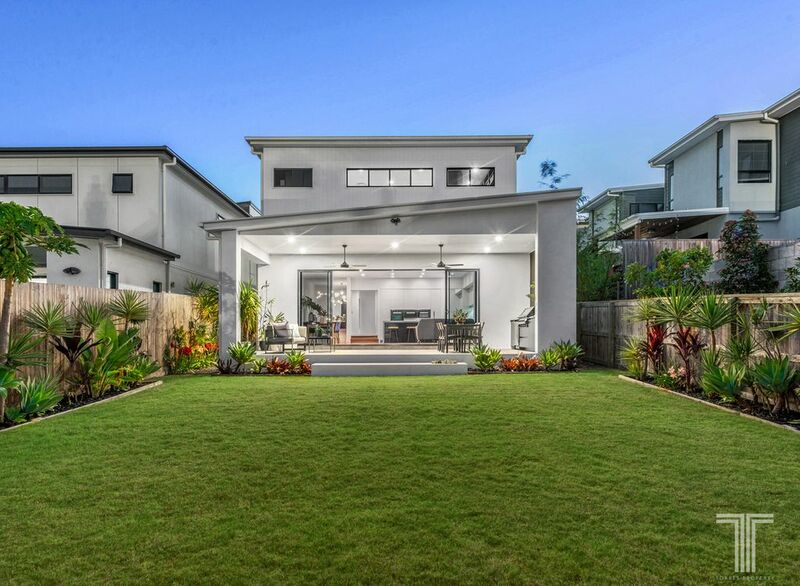 Seamlessly connecting indoors to out, this remarkable central living space extends with ease onto the inviting alfresco oasis via wall length sliding doors. 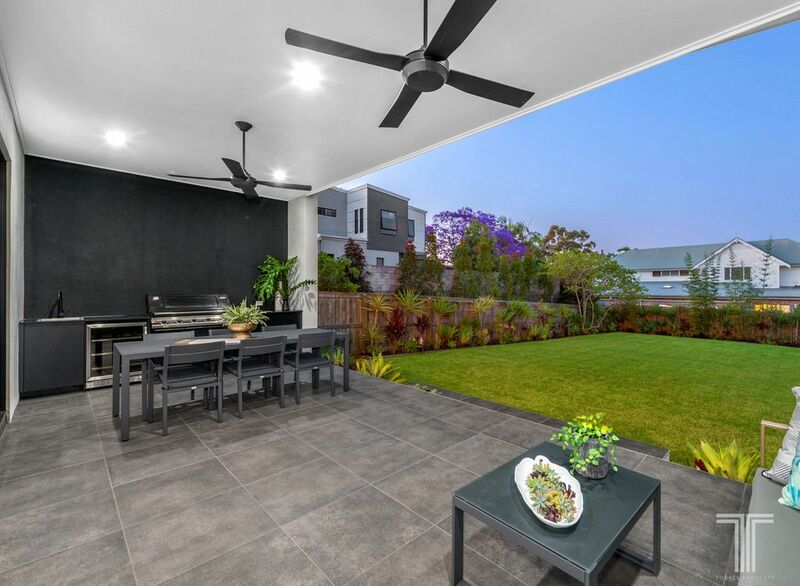 The perfect outdoor haven and overlooking the lush backyard, this private retreat enjoys an outdoor kitchen with built-in BBQ, fridge, sink and cabinetry alongside a spacious dining/sitting area, ideal for any occasion. 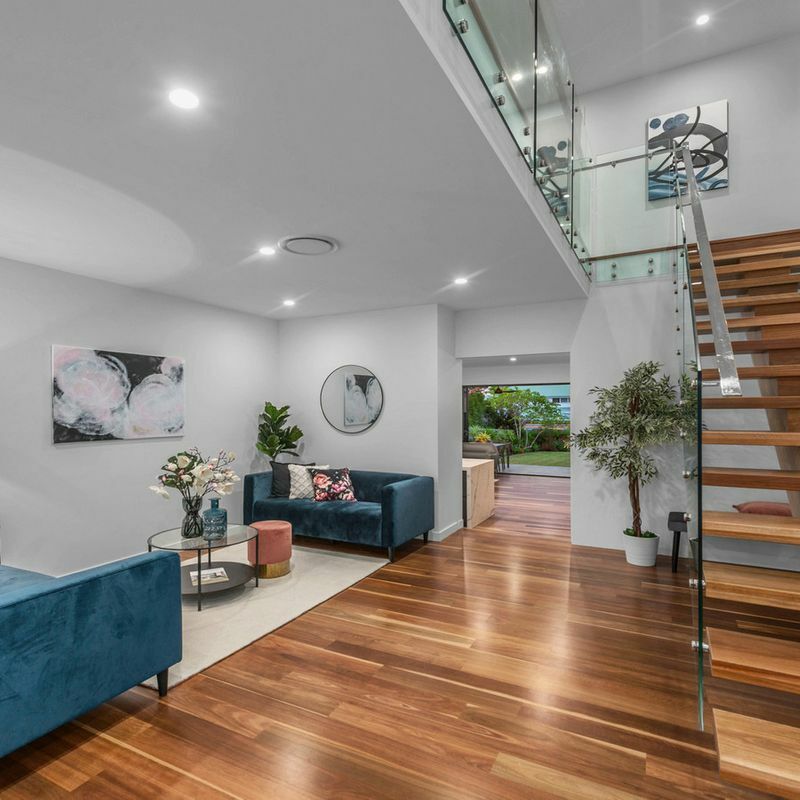 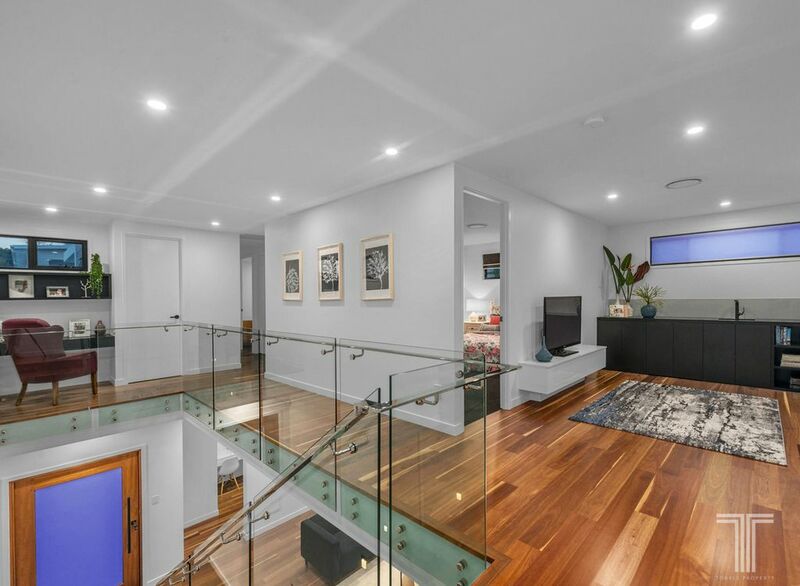 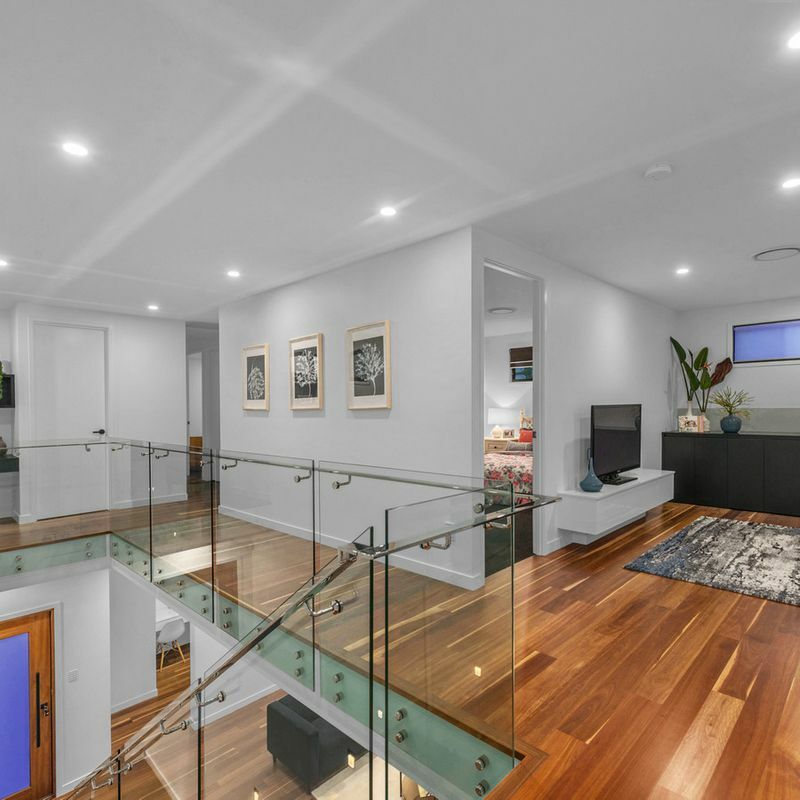 Inside, ascend the open tread timber staircase with chic glass balustrading to the home’s upper level. 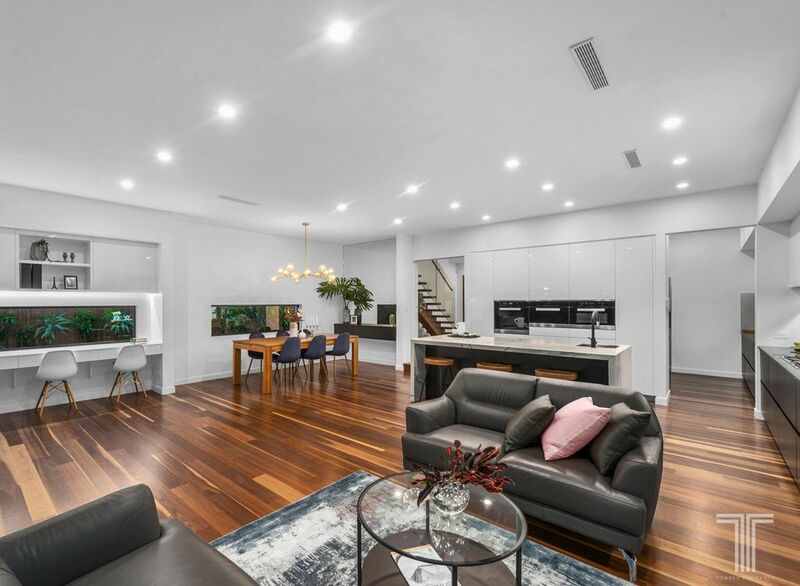 Revealing an open plan family room with wet bar and additional study nook, this level plays host to five exceptionally sized bedrooms. 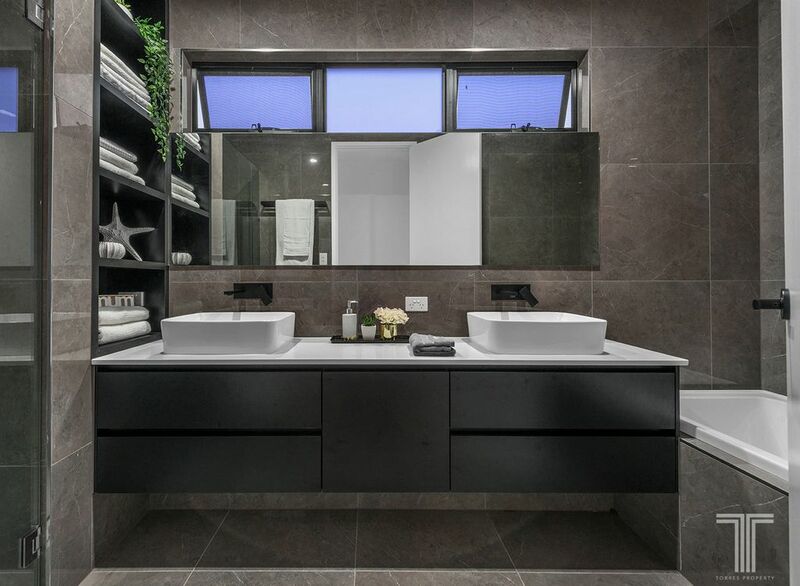 A luxurious retreat, the master suite boasts a lavish, open floor plan with walk-in robe and decadent ensuite adorned with deep, relaxing bath, dual vanities, matte black tapware and porcelain tiling. 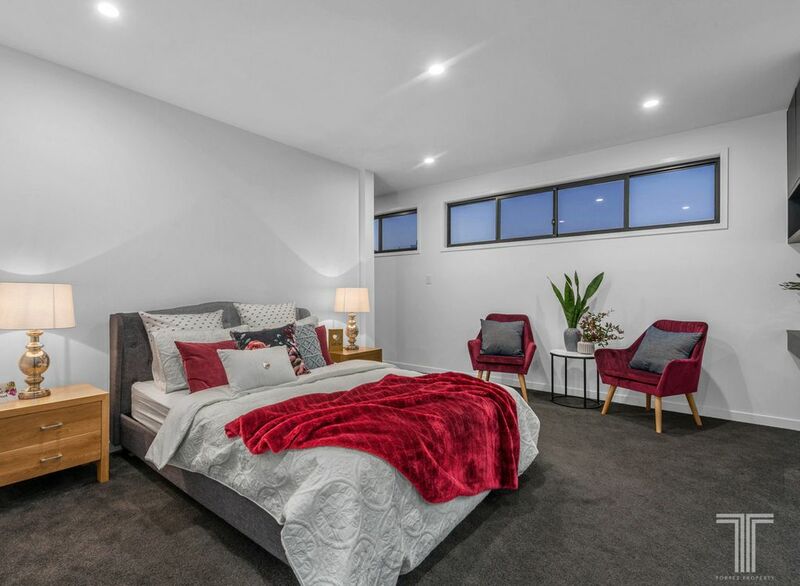 A second master suite or guest bedroom is located in the home’s opposite wing and also features a private ensuite, plus built-in robe. 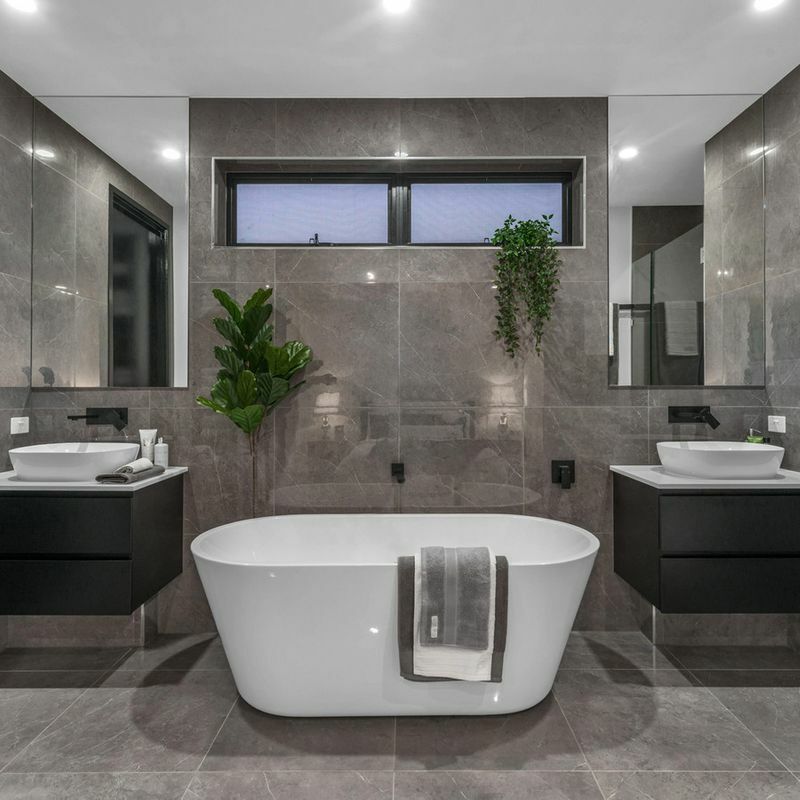 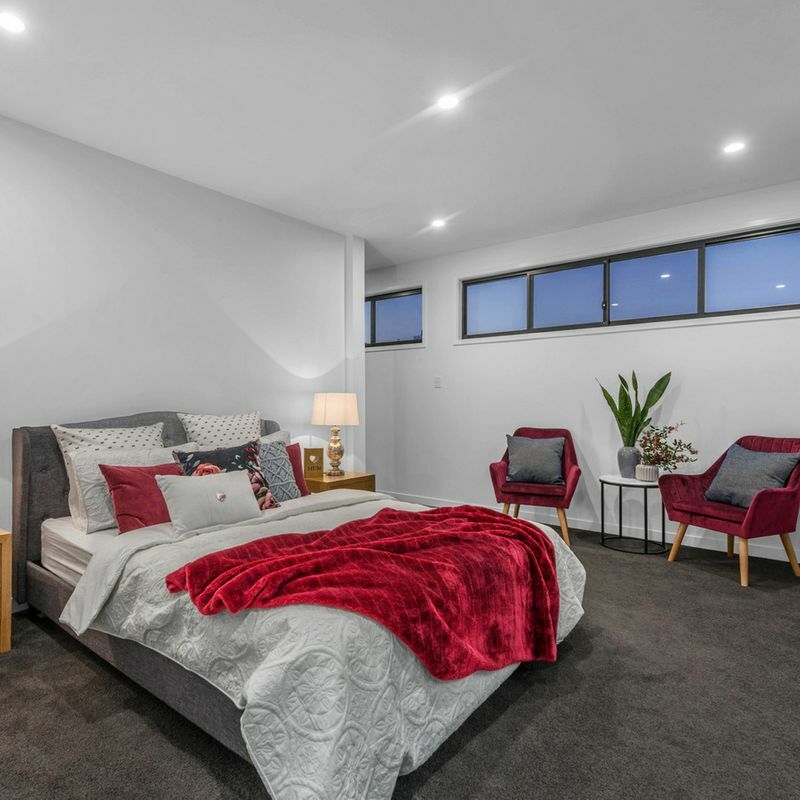 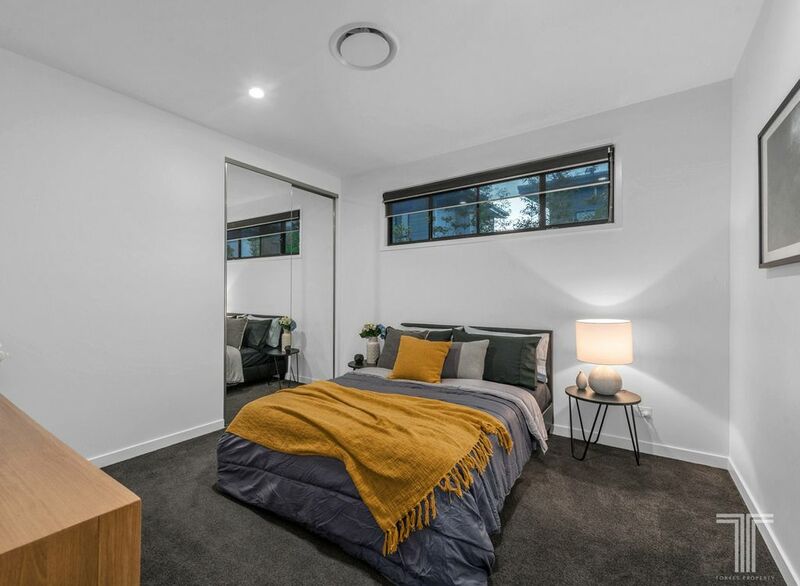 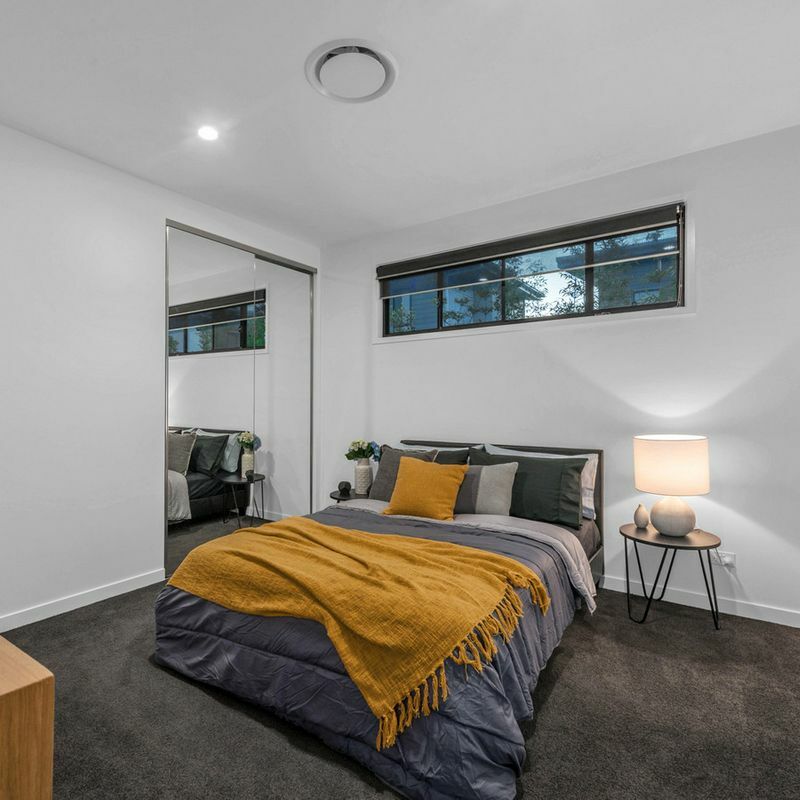 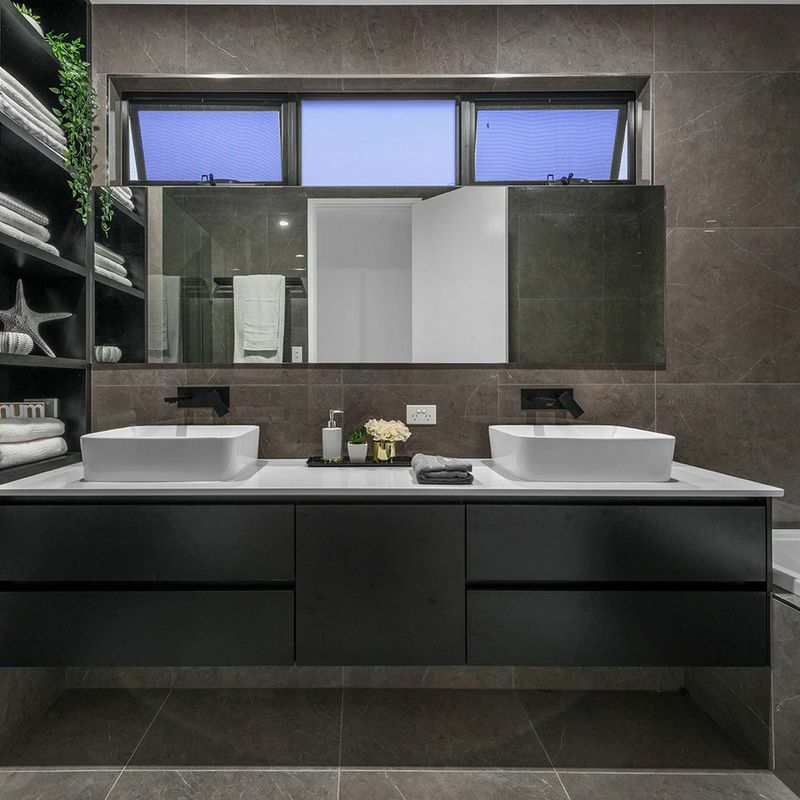 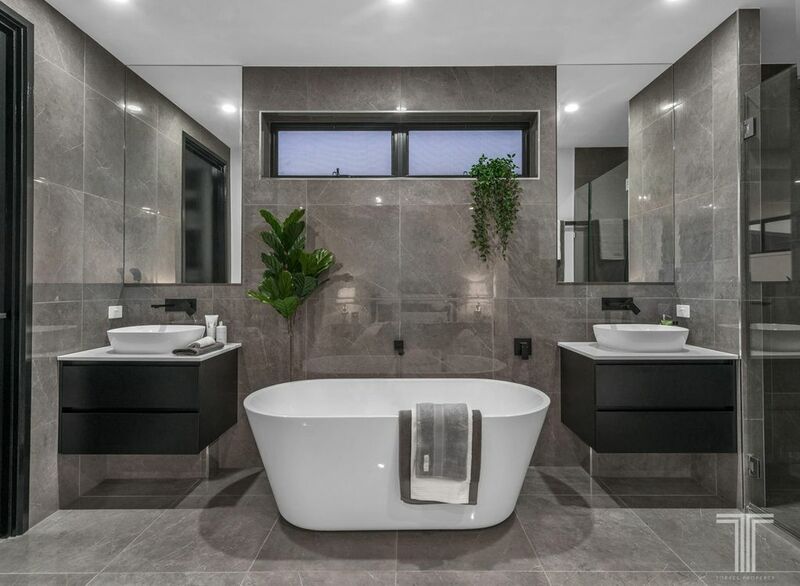 The additional three bedrooms all include built-in robes and are serviced by the modern main bathroom with porcelain tiling, black cabinetry, bath and ample storage. 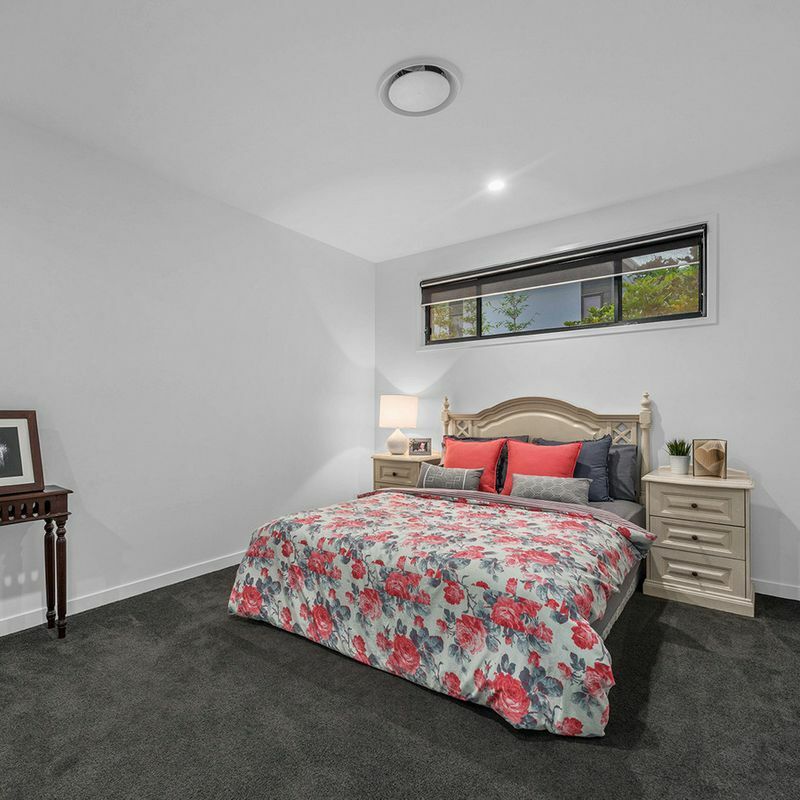 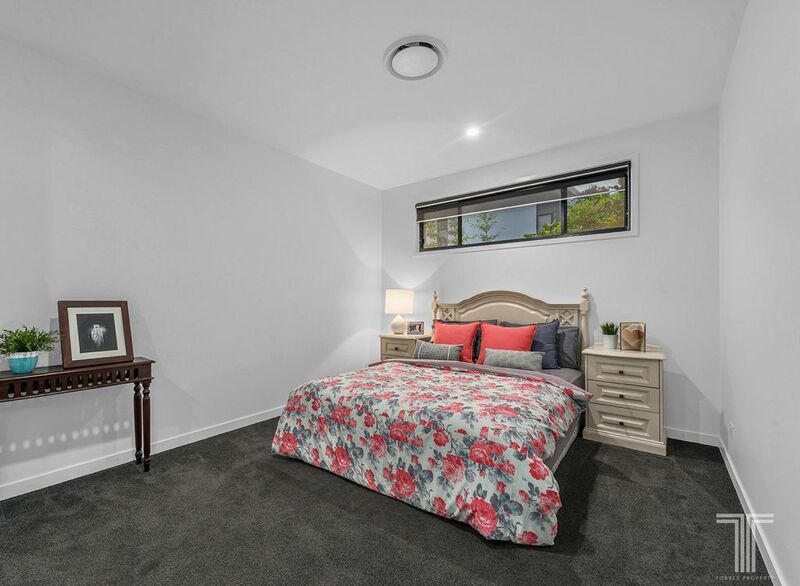 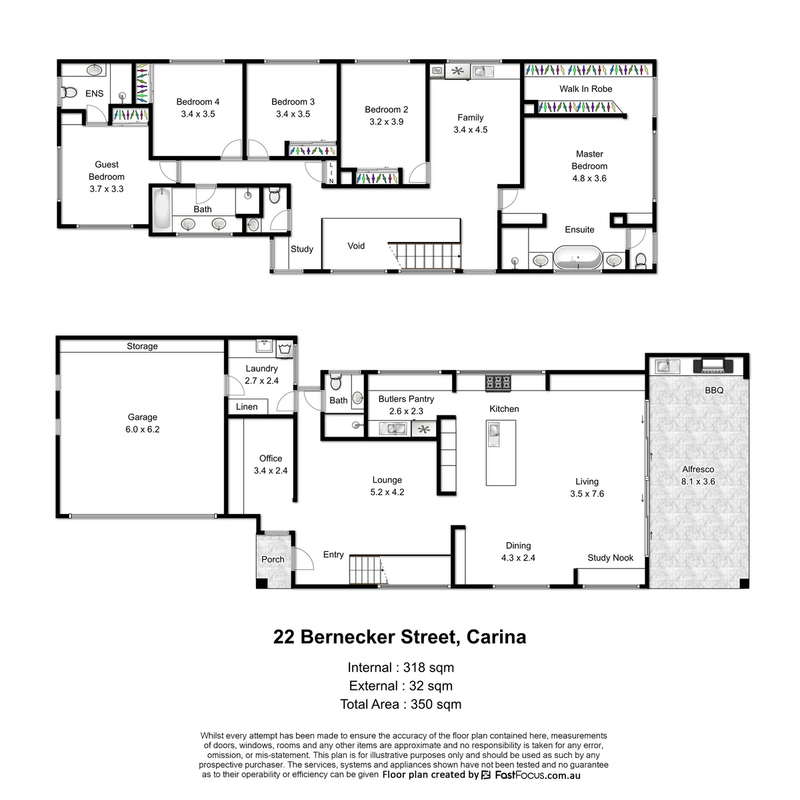 Positioned in a quiet street with easy access to Old Cleveland Road and Creek Road, this home is conveniently located just a short walk to Carina State School and kindergarten and close to San Sisto College, parks, buses and Westfield Carindale. 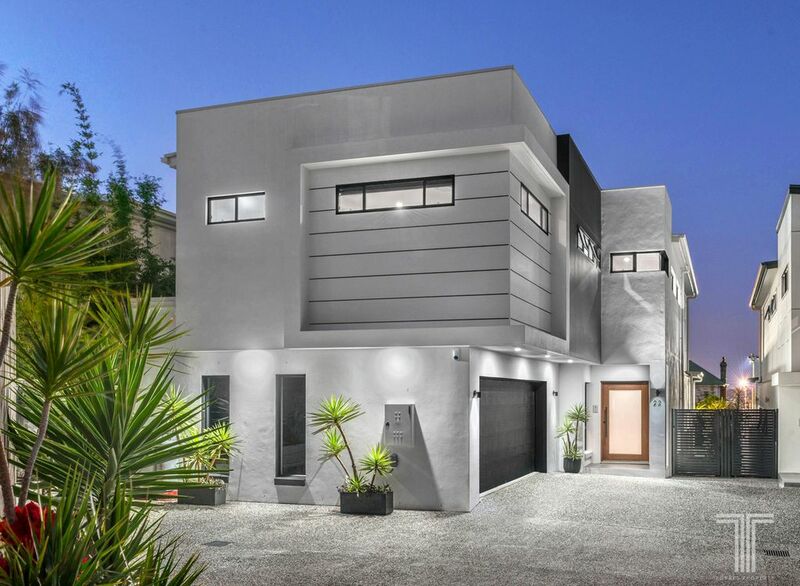 Only 10km to the CBD and 18km to Brisbane Airport, this spectacular residence has it all.